Dairy Queen is one of the most popular dessert stores in the world today. The company is known for its ice cream and other dessert products, some of which have become famous across the world. Dairy Queen started as a small restaurant in Joliet, IL. Originally, it was operated by Sherb Noble in 1940. The company used the franchise system in order to help itself expand into different areas of the country. Today, Dairy Queen is one of the largest companies selling soft serve dessert products in the world. It currently has 6,400 stores located in 25 countries worldwide. 4,500 of those stores are located within the United States. Employees of Dairy Queen enjoy a competitive salary and benefits package, which includes planning benefits, insurance coverage, and health and wellness benefits. Furthermore, the company also offers 401(k) retirement plans, profit sharing programs, and tuition reimbursement to its employees. Workers at Dairy Queen often cite its exciting and friendly work environment as a reason why they decided to stay in the job for years. Apart from the environment, the competitive salary and benefits package also played a role in the decision making of employees. An applicant for an entry level position must be at least 16 years old to qualify. For managerial positions, a higher age and experience qualification will be needed. Most of the jobs that are offered by Dairy Queen are entry level positions. These jobs usually pay the minimum wage yet offer flexible working hours and a competitive benefits package if the person is working that job in a regular capacity. Cook A cook is responsible for preparing the products that the branch will serve its customers on a daily basis. People who are applying for this position need to be able to learn fast and be alright with multitasking. Crew Member A crew member at Dairy Queen is responsible for the general upkeep of the branch. They are responsible for greeting customers as they come in, maintaining the cleanliness of the branch, and assisting customers with their needs. Crew Lead The crew lead is responsible for the maintenance of all crew members. As a leader, the crew lead ensures that crew members maintain the quality standards that the company imposes. Cashier A cashier is responsible for handling all money transactions in the branch. A cashier at Dairy Queen will be tasked at manning the counter, talking to customers, taking their orders, and processing their payments. They will also handle customer questions and complaints about quality and prices, if there are any. Cashier lead The cashier lead at Dairy Queen is responsible for keeping cashiers in the branch in check. Escalations will be handled by the cashier lead, and any disputes, discrepancies, or errors during any transactions will be handled by the cashier lead. They also maintain the quality standards set by the company. Cake Decorator Since Dairy Queen also sells cakes apart from ice cream, the company would also hire cake decorators who are in charge of preparing cakes according to the specifications either requested by the company or by customers. Dining Room Attendant The dining room attendant is the person responsible in ensuring customer satisfaction during dinner functions in the branch. Similar to crew members, they are also responsible for greeting and accommodating customers and their needs. Shift Manager The shift manager’s task is to ensure that a set number of employees are available and working in the branch for a set amount of time. The shift manager is the one responsible for plotting leaves and assigning schedules. Assistant Manager The assistant manager is responsible for helping out the general manager with any concerns regarding the overall maintenance of the branch. Assistant managers are usually tasked with training new employees. However, depending on the need, the assistant manager may be assigned to perform other tasks. General Manager The general manager is responsible for the overall upkeep of the restaurant. It is the general manager that communicates with the head offices of Dairy Queen to ensure that quality standards and other important communications are received by their branch. In order to apply for a position at Dairy Queen, applicants must submit their resumes and their application forms in the branch of their choice. Be mindful, however, of the usual job flow and the environment at Dairy Queen when you go there to apply. There is no option for an online application. However, Dairy Queen does offer a printable application form which you can access through their website and print out. Once printed, this form is what you will send along with your resume to your chosen Dairy Queen branch. The only things that you need to keep in mind when filling out the application form is that you need to answer it as honestly and as correctly as possible. Do not leave any blank spaces in the form and ensure that you provide updated information. Since Dairy Queen offers customer service oriented jobs, it is important that you highlight your experiences working in the customer service industry, if you have any, or your appreciation for the industry in your resume. Hiring managers at Dairy Queen will normally ask about your interest in the customer service industry, so you need to highlight your capabilities in handling customer needs when you answer the questions provided by the hiring manager during your interview. Dairy Queen offers a fast paced working environment that is focused on enabling employee growth. The company offers a lot of opportunities to its employees as well as a friendly environment that helps them feel positive with their jobs. 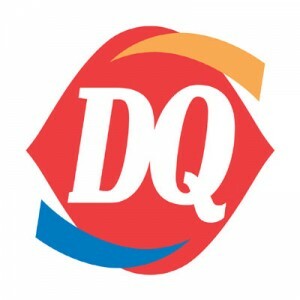 The company is focused on maintaining and encouraging communications with communities which is why Dairy Queen has decided to open its doors for any concerns that customers may have about the company’s products and services. The company is known as a popular sweets store, with more than six thousand branches spread across the world. Its products like the “Blizzard” have become extremely famous and synonymous with the brand. Dairy Queen encourages its employees to be involved in their respective communities. Furthermore, they also have plans that help out their less fortunate and student employees like scholarships and rewards for achievements. 1 How old do you have to be to work at Dairy Queen?